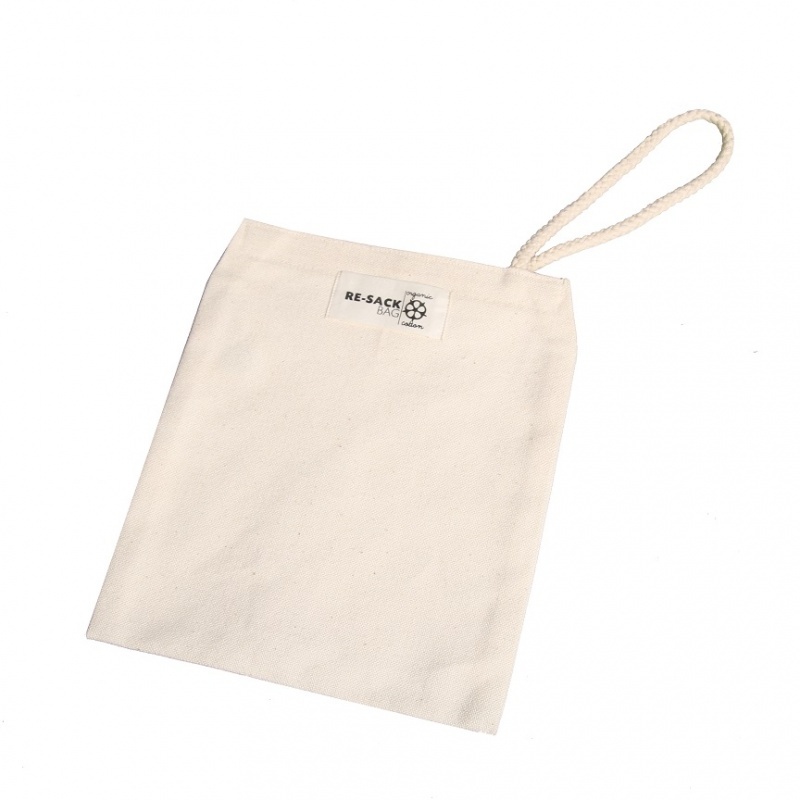 Organic canvas bag, made of organic cotton with Velcro fastener. Has many uses, a fruit & veg bag, use a snack bag or a carry pouch while out and about. 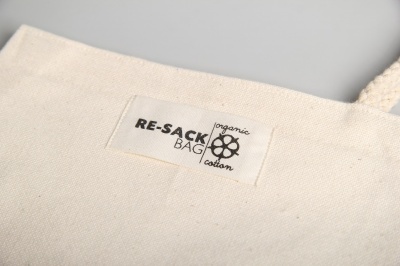 Re-Sack organic canvas bag, made of organic cotton with Velcro fastener. The canvas sack is suitable for all kinds of transport and storage. You can transport fruit & veg from the store or use as a snack bag or carry pouch while out and about. After use you can just put them in your washing machine on 30 degrees and hang dry them. Because it's a natural material the nets shrink about 10-12% from the original size. No packaging with this item.